Limitations are what we place on ourselves, not what life hands us. 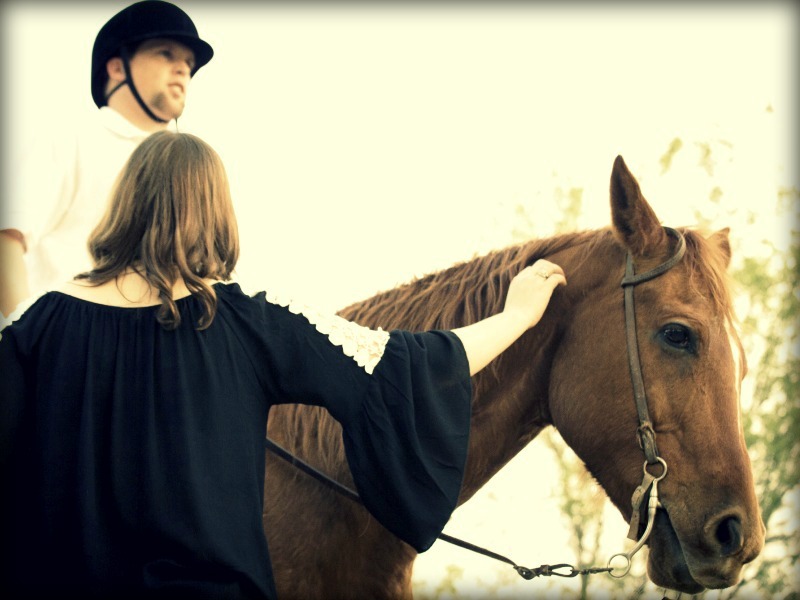 For 23 years, Kyle Dutiel has climbed on a horse, rode, competed, and won. And he has done this despite being born with an intellectual disability. Kyle, 35, grew up in Brandon, Mississippi, and is the son of Randall, a retired letter carrier, and Linda, a retired first-grade teacher with Rankin County Schools. He is the youngest of three. His sister Kerry Arender is married with two children and teaches at Brandon Middle School. His brother Kevin is a sales manager for Arender Plumbing and Heating Supply. No one else in the family is an equestrian. And no one else is an Olympian. “Kyle has surprised us with his ability to ride. No one in our family rides. He just seems to have a natural ability to ride and connect with whatever horse he is on,” says Linda. Debbie Waller, Kyle’s sixth grade special education teacher at Brandon Middle School and Special Olympics Mississippi Area 8 director, first introduced Kyle to Special Olympics and to Freddie Townsend, Area 8 equestrian coach, in 1992. That was all it took for Kyle to get hooked on riding. 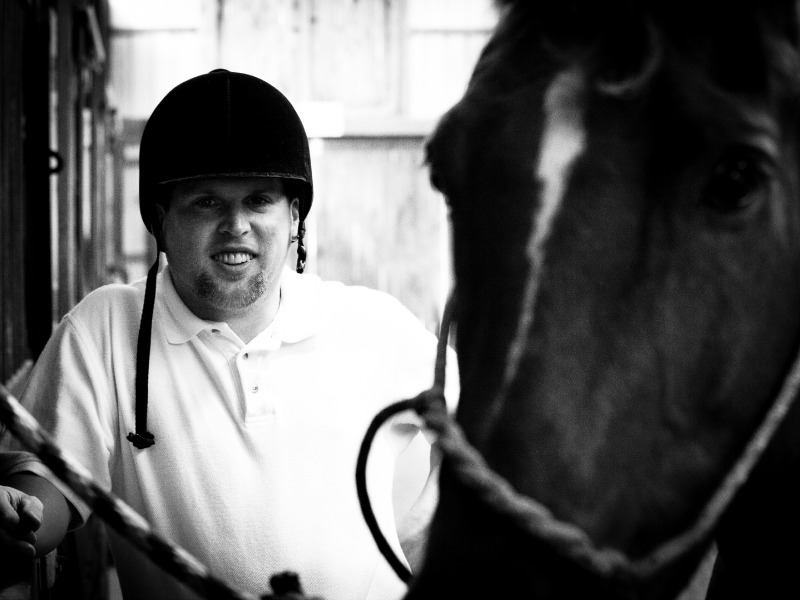 For seven years, Kyle honed his Western riding skills and earned medals at the state Special Olympic games. Then, in 1999, he was chosen to compete in the Special Olympics World Games in Raleigh, North Carolina, where he won the bronze medal in Western riding. Four years later, he was chosen to compete in the Special Olympics World Games in Dublin, Ireland. This time, however, he had to learn an entirely new way of riding, English Saddle. Under the guidance of his coach, Dale Rose, Kyle brought home the silver in Working Trails and the bronze in Equitation. “I have been to places to compete that I wouldn’t have been able to go if it wasn’t for Special Olympics. I never know what horse I will be riding at a show because the horse I get to ride in competition is not the horse I practice on. I like to show what I have learned,” Kyle says. And he has been training hard since August 2014 to show what he has learned with Coach Camie Crowe in preparation for his third World Games, which will be held in Los Angeles beginning July 25. There, he will be one of 10 athletes selected to represent Special Olympics USA and will compete in three different equestrian events riding an English saddle. The first event will be a Working Trail pattern, which has taken him six months to memorize, practice, and prepare. He will also ride English Equitation, which is a very short pattern walking from cone A to cone B, circling cone B, and finishing with a trot to cone C. Finally, his toughest event will be Dressage, a long pattern that involves 20 to 40 obstacles that can be very difficult to memorize. For Kyle, the challenge is the fun part. But Kyle hasn’t limited his interests to riding. He is a member of the Capital Area Special Olympics softball team and has traveled to several invitational tournaments. He plays tennis and has competed twice at Special Olympics National Invitational tournaments at Hilton Head, South Carolina. Plus, he has been an avid golfer since 2004, winning the bronze medal at the Special Olympics National Games in Ames, Iowa, in 2006 and the gold medal in 18-hole individual play in 2014 in Princeton, New Jersey. For Kyle, challenges and fears are not obstacles, but opportunities. He realizes riding horses can be scary, but he also realizes it can be fun. The Special Olympics was founded in 1968 and provides year-round sports training and athletic competition in a variety of Olympic-type sports for children and adults with intellectual disabilities, giving them continuing opportunities to develop physical fitness, demonstrate courage, experience joy, and participate in a sharing of gifts, skills, and friendship with their families, other Special Olympics athletes, and the community. Find out more about the Special Olympics and how you can help fund the games. Or consider adopting Mississippi athletes who need financial assistance to compete in the upcoming World Games. Beautiful story, beautiful person, and beautifully stated Sunnyhuckle.com, enjoyed reading all about this young man’s passion and determination. He certainly has some loving godly people in his life and this article sings praises to them as well! Thanks again, Sunnyhuckle.com for helping us to see beyond ourselves at victories that abound!